The beautiful—albeit unusual—image above is of a sea of brownstone style dwellings in the Bay Bay neighborhood of Boston. Photograph was taken with a long lens from the Prudential Skywalk Observatory. Brownstone is a dark variety of sandstone, much used for building purposes. It gave its name to row houses built of brownstone, which are reddish brown in color. From Wikipedia: Back Bay is an officially recognized neighborhood of Boston. It is most famous for its rows of Victorian brownstone homes — considered one of the best preserved examples of 19th-century urban design in the United States — as well as numerous architecturally significant individual buildings, and cultural institutions such as the Boston Public Library. It is also a fashionable shopping destination (especially Newbury and Boylston Streets, and the adjacent Prudential Center and Copley Place malls) and home to some of Boston's tallest office buildings, the Hynes Convention Center, and numerous major hotels. The Neighborhood Association of the Back Bay considers the neighborhood's bounds to be "Charles River on the North; Arlington Street to Park Square on the East; Columbus Avenue to the New York New Haven and Hartford right-of-way (South of Stuart Street and Copley Place), Huntington Avenue, Dalton Street, and the Massachusetts Turnpike on the South; Charlesgate East on the West." 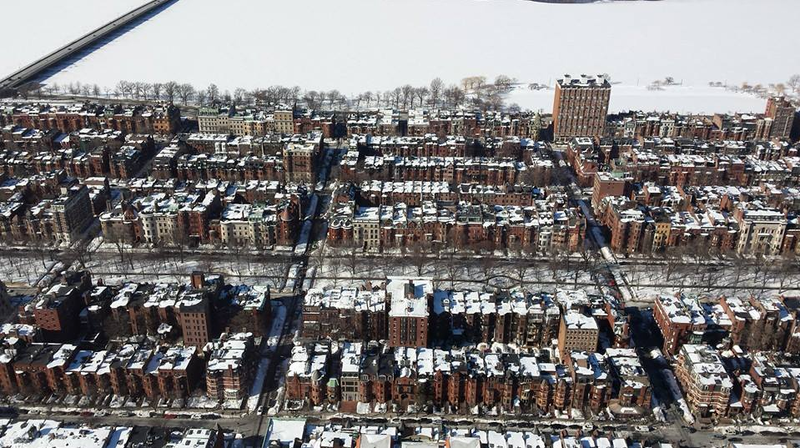 Prior to a colossal 19th-century filling project, Back Bay was a literal bay. Today, along with neighboring Beacon Hill, it is one of Boston's two most expensive residential neighborhoods.